Tom Robertson was born in Lancashire in the North-West of England. Since school through college, he involved himself in music and the performing arts. He was a part of the local theatre workshop, where he wrote music and acted in plays. He took part in a variety of bands beyond college, playing a variety of instruments and writing music. He still produces his own unique pieces. 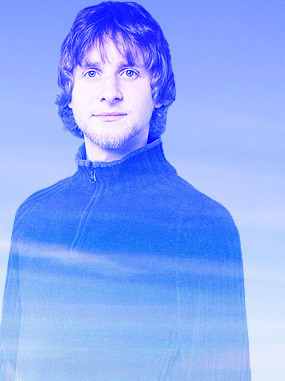 Through his early academic career, Tom played the keyboard and performed vocals and as such played in several bands, later becoming lead singer, keyboard player and guitarist in a band he formed with his friends. Hamza has undertaken a series of solo performances. He studied Performing Arts Popular Music for three years. In working with Awakening, Hamza aims to take part in a new dynamics in calling to God, or ‘dawah’, in a new world, through producing songs with a positive message. He feels that too many people know too little about Islam and the beauty of its essential values, values which bring about harmony between people, as opposed to discord. Hamza believes that music, being a powerful source of energy, can be employed to influence people toward either good or bad. He feels there is too much ‘negative music’ in the world giving people the wrong message, and bringing about within them the desire to do things which are against their inherently pure nature, i.e their ‘fitrah’. Hamza was just an ordinary boy known as Tom Robertson who grew up in Chadderton, Oldham. Oldham mainly consists of two large communities, Asian and white. Hamza was from the town’s white community and was brought up in a Christian family environment. During his years at his local town college which was heavily attended by a large mixture with students from many cultures, he made friends with a multi-cultural group of youth’s headed by a local cult leader, known as the notorious Prince Fi. Fi, Omar Abdullah, Sheikh Bilal (Sheikh Bilal also Muslim convert) introduced Hamza to Islam. Hamza’s fascination for Islam grew and eventually Hamza with Sheikh Bilal, decided to travel to the Middle East in search of further knowledge and enlightenment. Hamza then gained interest into Sufism. Finally he was discovered by the famous Yusuf Islam who on discovering a talented voice sponsored and signed Robertson up as his apprentice. Hamza Robertson has recently performed at the prestigious GPU (Global Peace & Unity) concert 2006, held in London near Canary Wharf. 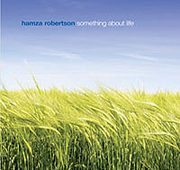 Hamza has finished working on his first album ‘Something About Life’ – (already released). Hamza appeared at the annual GPU event in London in the prestigious Excel venue in the East of the Capital.An event situated on revealing the essential values of Islam to the Western community as a whole. This is one of the many events Hamza has appeared in, for example in August 2007 he appeared at the Islamic Relief Evening of Inspiration event to fundraise for programs that support women and children in need. Robertson is a very passionate young singer who embraces his fans with open arms. Though he has much to brag about, he remains modest and very open. He is an excellent role model for all of his fans, young and old alike! His music has inspired many to grow closer to Islam. His work with Islamic Relief has helped many, and his efforts continue with the organization throughout the Islamic Relief Evening of Inspiration. His last appearance of the summer tour will take place in New Jersey. To date the Islamic Relief Concerts have raised close to one million dollars with the help of passionate artists such as Robertson! yh true happens 2 me 2. Its really great that polpee are sharing this information. This is heart-touching Inshallah Allah will pay dividend of this excellent work! inshaallah nasheed can touch heart of every one in this world n make the other know what a perfect this religy..
brother hamza can you please sing without music or only with duff as we r in islamic school and want to sing your songs.we told our head of the school that islam do not permit music other than duff.our school comes under the authority of another public school. salams mashallah very beautiful nasheed. May Allah bless you. I congratulate you for your brave deceision to accept islam. Can you please clear to your fans? what attracted you to Islam?? We need the new album ” What You’ve Become ” lyrics.